This is a scalable context timeline. 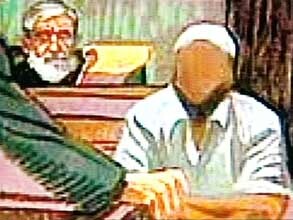 It contains events related to the event January 15, 1993: FBI Informant Connects Plotters to ‘Blind Sheikh’. You can narrow or broaden the context of this timeline by adjusting the zoom level. The lower the scale, the more relevant the items on average will be, while the higher the scale, the less relevant the items, on average, will be. Robert Morgenthau. [Source: Robert Maass / Corbis]In the late 1980s, Osama bin Laden and his mentor Abdullah Azzam are running a charity front called Maktab al-Khidamat (MAK)/Al-Kifah in Peshawar, Pakistan, and it has an important branch in Brooklyn, New York, called the Al-Kifah Refugee Center that is sending money and recruits to fight in Afghanistan. The CIA apparently helps the Al-Kifah Brooklyn office send up to 200 people from the US to fight in Afghanistan (see 1986-1993). Many of them are US citizens. Zalmay Khalilzad, a State Department Afghan specialist who will go on to become a prominent neoconservative, will later deny knowing of any Arab-Americans fighting with the mujaheddin. But one anonymous Congressional aide will recall occasional mentions of Al-Kifah Refugee Center or its head Mustafa Shalabi by some of the most radical mujaheddin. He will say: “Among that cabal, the extreme militant fringes, Shalabi was known.… [T]hey were asking to talk to him so he could organize some particular assistance.” The Neutrality Act prevents US citizens from fighting against countries not at war with the US, but the New York Times will note, “Yet there is no sign that a criminal investigation ever took place even though federal agents had come across broad hints about the center’s activities when they investigated the [Meir] Kahane assassination [in 1990] (see November 5, 1990) and the slaying of Mr. Shalabi [in 1991]” (see (February 28, 1991)). Kahane’s assassin, El Sayyid Nosair, was one of Shalabi’s assistants. [New York Times, 4/11/1993] Apparently the CIA’s ties to the Al-Kifah Refugee Center prevent other US agencies from investigating it, even after the 1993 World Trade Center bombing, when all of the bombers are found to have been tied to the center. While Al-Kifah closes itself down shortly after the WTC bombing, it immediately reopens in Boston under a different name and continues to publish the same newsletter and post from the same website (see April 1993-Mid-2003). Robert I. Friedman, writing for New York magazine, will comment, “[W]hen the fanatical fervor [the CIA] whipped up leads to unintended consequences—the assassination of a Jewish militant leader in Manhattan, the bombing of the World Trade Center, a terror conspiracy to blow up the Holland and Lincoln Tunnels and other Manhattan landmarks—[the CIA tried] to discourage local law enforcement agencies and the FBI from looking into the matter too deeply.” After Nosair assassinates Kahane, the FBI tells District Attorney Robert Morgenthau that Nosair was a lone gunman, not part of a broader conspiracy. However, the FBI had truckloads of evidence connecting to Al-Kifah strongly suggesting otherwise that it does not closely investigate. 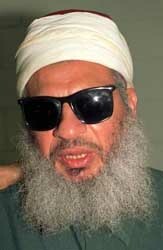 The FBI also blocks him from tying Sheikh Omar Abdul-Rahman to the WTC bombing (see After February 26, 1993). Morgenthau will later speculate the CIA may have encouraged the FBI not to pursue any other leads. “The FBI lied to me,” he will say. “They’re supposed to untangle terrorist connections, but they can’t be trusted to do the job.” [New York Magazine, 3/17/1995] Counterterrorism expert Steven Emerson will call Al-Kifah “al-Qaeda’s operational headquarters in the United States.” [Emerson, 2006, pp. 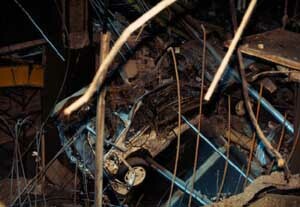 436] In 1994, a secret internal CIA report will conclude that the agency is “partially culpable” for the WTC bombing because of its support for radicals connected to Al-Kifah. One CIA source will say, “By giving these people the funding that we did, a situation was created in which it could be safely argued that we bombed the World Trade Center” (see January 24, 1994). But even after 1994 there is little evidence that the links from Al-Kifah were carefully explored by any US government agency. For instance, the government will not freeze Al-Kifah’s funds until shortly after 9/11, long after it ceased to exist (see September 24, 2001). Ali Mohamed helps Ayman al-Zawahiri enter the US for a fundraising tour and acts as his head of security during his stay. At the time, al-Zawahiri is known to have been the head of the militant group Islamic Jihad since the late 1980’s. He is also al-Qaeda’s de facto number two leader, though this is not widely known. This is apparently his second visit to the US; having previously paid a recruiting visit to the Al-Kifah Refugee Center in Brooklyn in 1989 (see 1986-1993). The exact timing of this second visit is disputed, but New Yorker magazine will report that “people at the FBI” assert “al-Zawahiri arrived in America shortly after the first bombing of the World Trade Center” in February 1993. Al-Zawahiri stays at Mohamed’s residence in Santa Clara, California, posing as a representative of a charity organization. It is said that not much money is raised. [New Yorker, 9/9/2002] Al-Zawahiri will make another apparently more successful fundraising trip to the US in either late 1994 or sometime in 1995 (see Late 1994 or 1995). 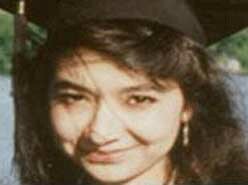 Aafia Siddiqui. [Source: FBI]In 1993, the Al-Kifah Refugee Center in Brooklyn, New York, disbanded after media reports revealed that it had ties to all of the 1993 WTC bombers as well as the CIA (see 1986-1993), but it quickly reappeared in Boston under the new name Care International. Counterterrorism expert Steven Emerson had warned the government of the name change since 1993 (see April 1993-Mid-2003). But apparently US investigators only start looking closely at Care International shortly after 9/11, when the FBI interviews several current and former employees. 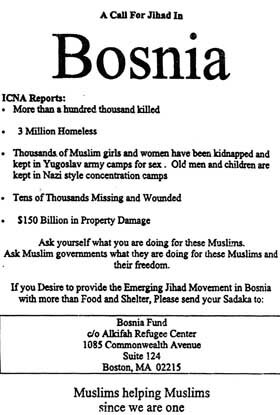 [Wall Street Journal, 11/21/2001] Around the same time, the Fleet National Bank in Boston files a “suspicious-activity report” (SARS) with the US Treasury Department about wire transfers from the Saudi Embassy in Washington to Aafia Siddiqui, a long-time member of the Al-Kifah Refugee Center and then Care International, and her husband Dr. Mohammed Amjad Khan. Fleet National Bank investigators discover that one account used by the Boston-area couple shows repeated on-line credit card purchases from stores that “specialize in high-tech military equipment and apparel.” Khan purchased body armor, night-vision goggles, and military manuals, and then sent them to Pakistan. The bank also investigates two transfers totaling $70,000 sent on the same day from the Saudi Armed Forces Account used by the Saudi Embassy at the Riggs Bank in Washington to two Saudi nationals living in Boston. One of the Saudis involved in the transfers lists the same Boston apartment number as Siddiqui’s. The bank then notices that Siddiqui regularly gives money to the Benevolence International Foundation, which will soon be shut down for al-alleged Qaeda ties. They also discover her connection to Al-Kifah. The bank then notices Siddiqui making an $8,000 international wire transfer on December 21, 2001, to Habib Bank Ltd., “a big Pakistani financial institution that has long been scrutinized by US intelligence officials monitoring terrorist money flows.” [Newsweek, 4/7/2003] In April or May 2002, the FBI questions Siddiqui and Khan for the first time and asks them about their purchases. [Boston Globe, 9/22/2006] But the two don’t seem dangerous, as Siddiqui is a neuroscientist who received a PhD and studied at MIT, while Khan is a medical doctor. Plus they have two young children and Siddiqui is pregnant. There are no reports of US intelligence tracking them or watch listing them. 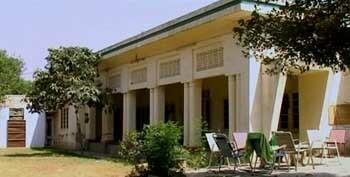 Their whole family moves to Pakistan on June 26, 2002, but then Siddiqui and Khan get divorced soon thereafter. Siddiqui comes back to the US briefly by herself from December 25, 2002, to January 2, 2003. On March 1, 2003, Pakistan announces that 9/11 mastermind Khalid Shaikh Mohammed (KSM) has been captured (see February 29 or March 1, 2003). Some days later, Siddiqui drives away from a family house in Pakistan and disappears. Some later media reports will claim that she is soon arrested by Pakistani agents but other reports will deny it. Reportedly, KSM quickly confesses and mentions her name as an al-Qaeda sleeper agent, working as a “fixer” for other operatives coming to the US. On March 18, the FBI puts out a worldwide alert for Siddiqui and her ex-husband Khan, but Khan has completely disappeared as well. Siddiqui will be arrested in Afghanistan in 2008 (see July 17, 2008). [Vanity Fair, 3/2005] The CIA will later report that Ali Abdul Aziz Ali (a.k.a. 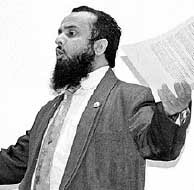 Ammar al-Baluchi), a nephew of KSM and a reputed financier of the 9/11 attacks, married Siddiqui not long before her disappearance. Furthermore, in 2002 he ordered Siddiqui to help get travel documents for Majid Kahn (no relation to Siddiqui’s first husband), who intended to blow up gas stations and bridges or poison reservoirs in the US. 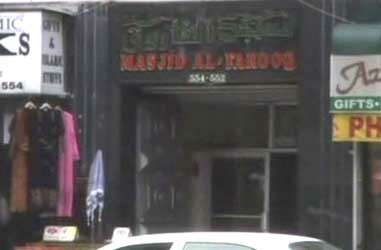 It will also be alleged that Siddiqui bought diamonds in Africa for al-Qaeda in the months before 9/11. [Boston Globe, 9/22/2006] The Saudi Embassy will later claim that the wire transfers connected to Siddiqui were for medical assistance only and the embassy had no reason to believe at the time that anyone involved had any connection to militant activity. [Newsweek, 4/7/2003] Although Siddiqui seems to have ties with two key figures in the 9/11 plot and was living in Boston the entire time some 9/11 hijackers stayed there, there are no known links between her and any of the hijackers.